You like the snow and winter landscapes. You've tried skiing, snowboarding or snowshoeing… You like the sensation of gliding and the freedom! Yes, but have you tried to experience what Jack London's characters lived? 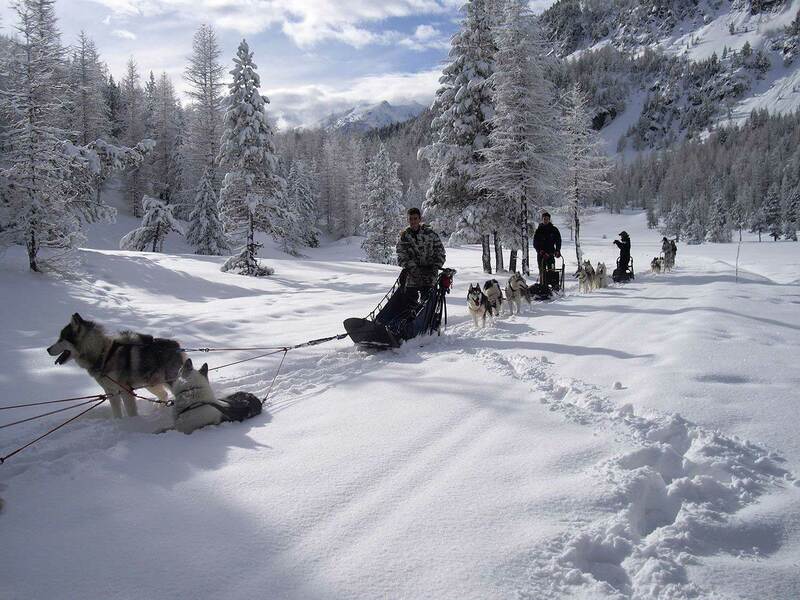 Gliding into the white landscape on your sled pulled by dogs? The Échaillon works with Danielle and Tom, 2 experienced professional mushers. They will be your guides, with their pack, and you'll see how much they love to share their passion. The magnificent valleys of Clarée or of Cervières will be your playground. 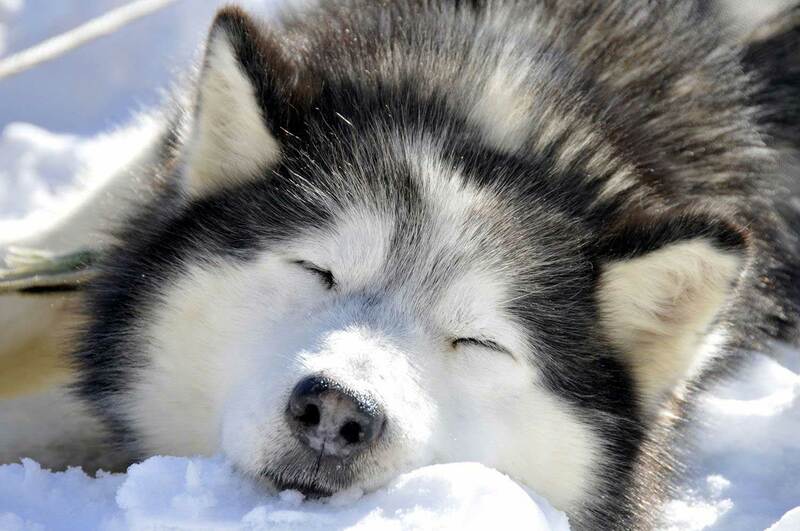 Experience your first dog sled ride, of a duration of 30 minutes. You'll sit in a sled pulled by 10 dogs, this pack will be led by the musher. You don't have anything to worry about except to enjoy the ride. Kids from 2 can join you if it's not too cold. Price is 40€ per child up to 12 and 60€ per person older than 12. A 1 hour introductory course in dog-sledding. 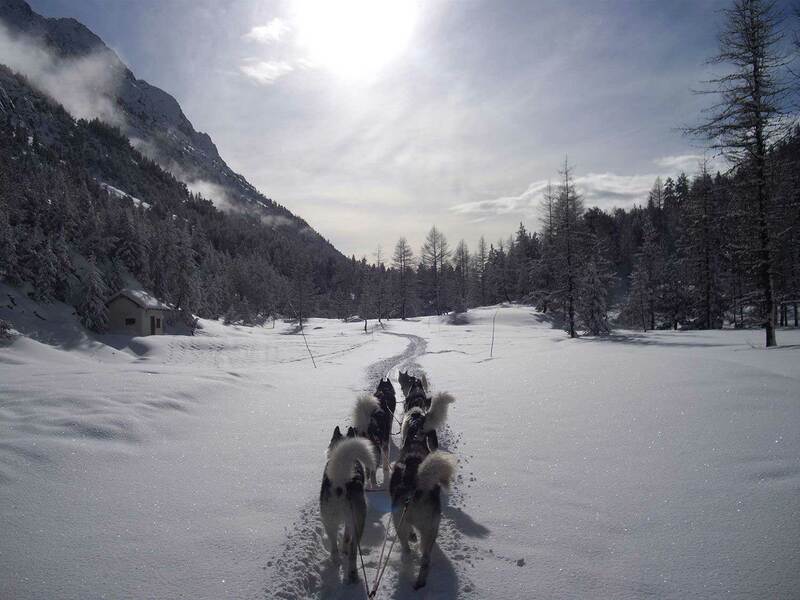 You'll first get a safety briefing and a quick tuition to learn the basis, then you'll lead your own pack of 3 or 4 dogs, following the musher's sled. A minimum of fitness is required. Teenagers can lead their own pack too, if they're tall enough and over 10. For the younger ones, they'll sit in the musher's sled (1 or 2 kids). Price is 60€ per child up to 12 and 80€ per person older than 12. A half-day introductory course in dog-mushing. An option you can only book outside of french school holidays. Two sessions a day: either from 9h30 to 12h in the morning, or from 14h to 16h30 in the afternoon. You'll first get to meet the dogs, and will be given a safety briefing and a tuition on the mushing skills. 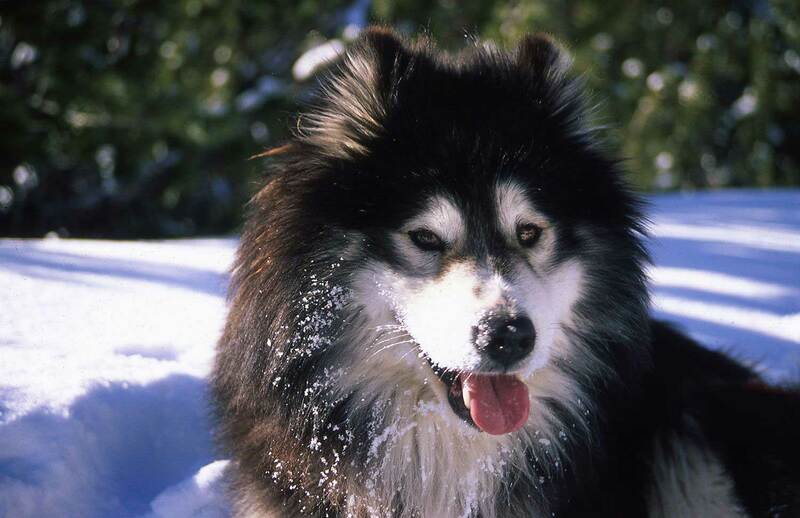 Then you'll go on a 2-hour ride leading your own pack of 3 or 4 dogs, following the musher's sled. Teenagers can lead their own pack too, if they're tall enough and over 10. For the younger ones, they'll sit in the musher's sled (1 or 2 kids). Price is 80€ per child up to 12 and 110€ per person older than 12. You can call us on +33.4.92.21.37.30. to book or you can fill the form on the right. Merci de saisir tous les champs obligatoires !